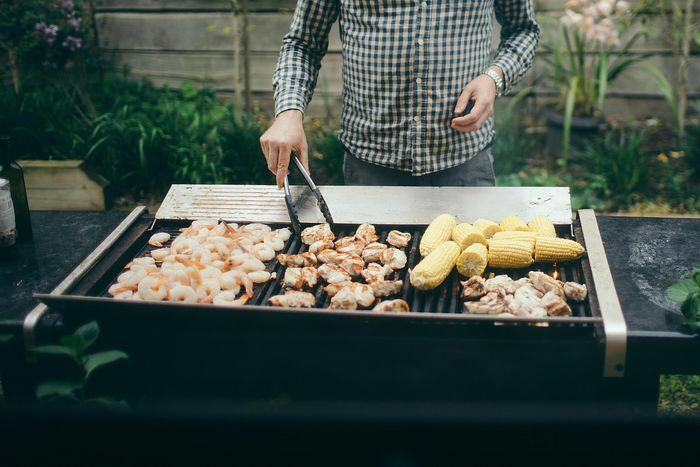 To keep your gas grill in working order, you are going to have to spend a little time maintaining it. After all, you wouldn't expect your oven to keep working perfectly and not need a little care or cleaning. Cleaning your grill is part of this process; you need to protect and maintain your investment. There are three cycles to your maintenance program. Preheat your grill completely every time you turn it on. This cleans and disinfects your gas grill. Brush cooking grates to remove residue and give yourself a clean cooking surface. Turn up the heat on your grill to maximum after you remove the last of the food. This burns off all the drippings and grease in your grill. Cover your grill as soon as it has cooled down. It is a myth that a grill cover causes rusting. Remove the cooking grates and clean them on both sides. While the grates are out of the grill, clean off those metal things (barriers) above the burners and below the grates. Brush out the inside of the grill into the drip pan below. Clean out or replace the grease drip pan. Put everything back and fire up the grill, letting it heat up for about 10 minutes or until there is no (or at least not very much) smoke coming out of the grill. If you plan to pack away your grill for the winter, you will want to do this at the end of your season. If you grill year-round (good for you), pick a nice day and do this at least once a year. If you use your grill more than once a week, you should do this twice a year. Remove the cooking grates and soak them in hot, soapy water. Remove the barrier and do the same to them. Thoroughly brush out the interior of the grill. Leave the greasy accumulation as a protective layer on the metal. With everything out of the way, fire up the grill just long enough to look at how the flame is coming from the burners. If the flames are uneven, you need to clean out the burners. To do this, remove the affected burners from the grill and, with a pipe cleaner or small wire, push through the ports (holes along the side). Then gently tap the burners, open end down, on the ground to displace any debris from inside the burner. Once cleaned out, replace the burners and fire it up again. If the flame is even, continue. If not, repeat this step. While the grates and barrier are soaking, close up the grill and give the exterior a wash, much like you would your car (if you have one). Wash off the grates and barrier and put your grill back together. Fire up the grill and allow it to heat up, drying all the internal parts. 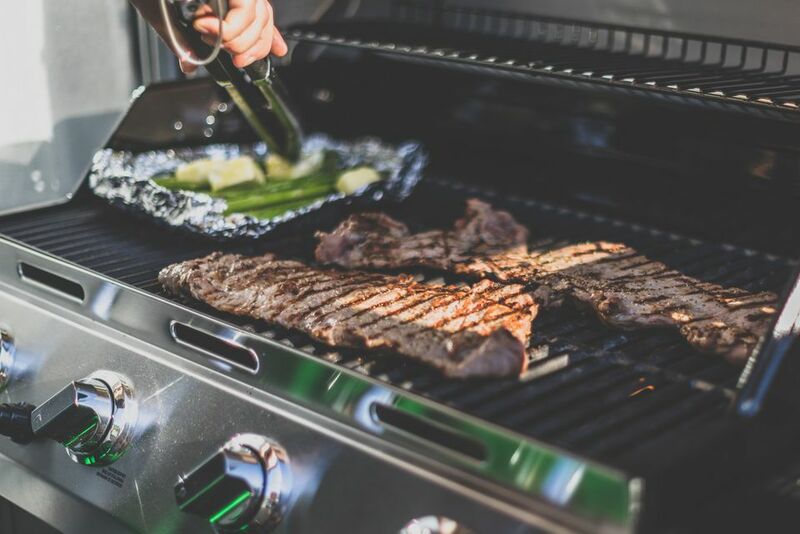 If you really are packing your grill away for the season, close and disconnect the gas supply. Remove the propane tank from the grill and place it in a safe, ventilated area. Cover the grill and put it in a sheltered location. If in the course of your clean you find that parts are worn or broken you may need to engage in some gas grill repair.